What is the right price of clean air? How much are people willing to pay for clean air? Driven by this question, empirical economists have come up with a method to estimate the value of air quality. A new discussion paper by IZA Program Director Olivier Deschenes, Michael Greenstone and Joseph Shapiro suggests that former studies may have underestimated the costs of pollution and thus the value of clean air. 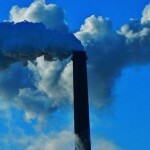 The researchers argue that defensive investments against pollution, such as medication purchases, have to be factored in when estimating the value of clean air. Studying the introduction of an important cap-and-trade market, which dramatically reduced summertime ozone, the authors show that not only mortality rates but also pharmaceutical expenditures have decreased subsequently. Moreover, the paper shows that the improvement in air quality generates reductions in pharmaceutical purchases that are as large as the value of the observed reduction in mortality rates. This suggests that the costs of ozone might be substantially larger than previously thought.